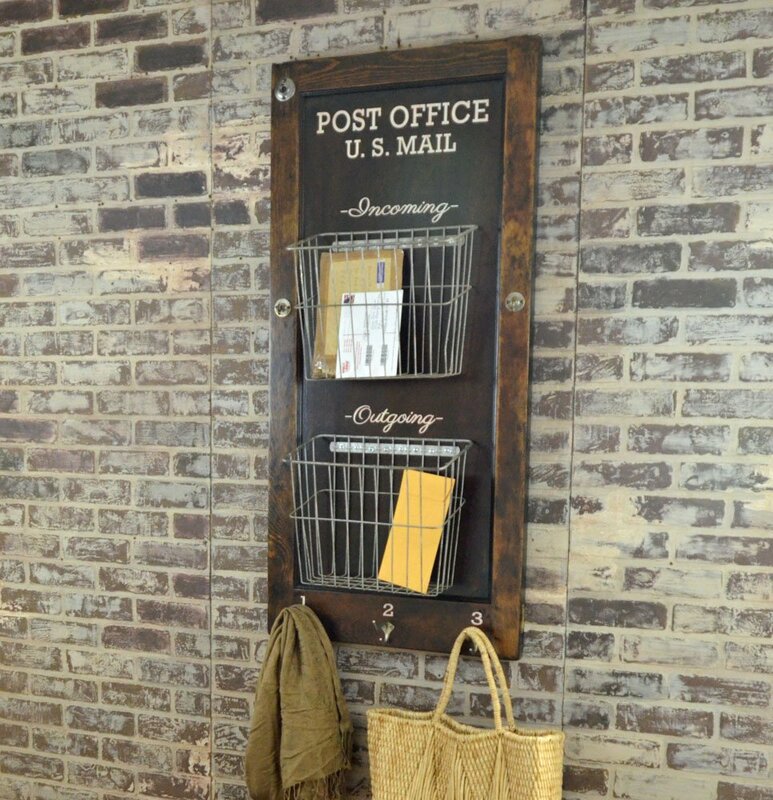 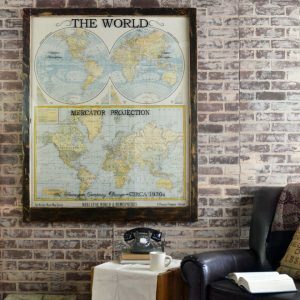 This unique wall mounted mail holder organizes mail, keys, coats, and bags! 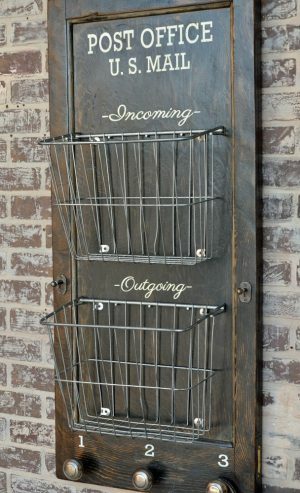 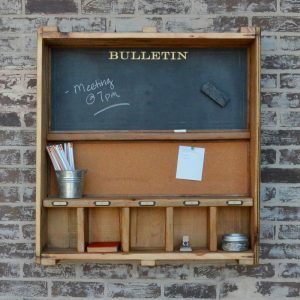 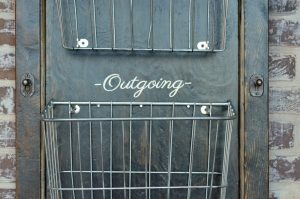 Made from a section of a reclaimed door, old bicycle baskets, and vintage hardware – this stylish piece will help organize your entryway, mudroom, or office! 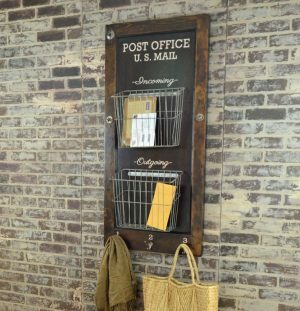 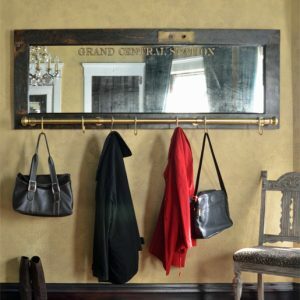 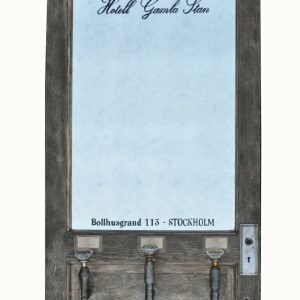 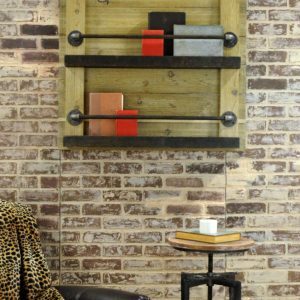 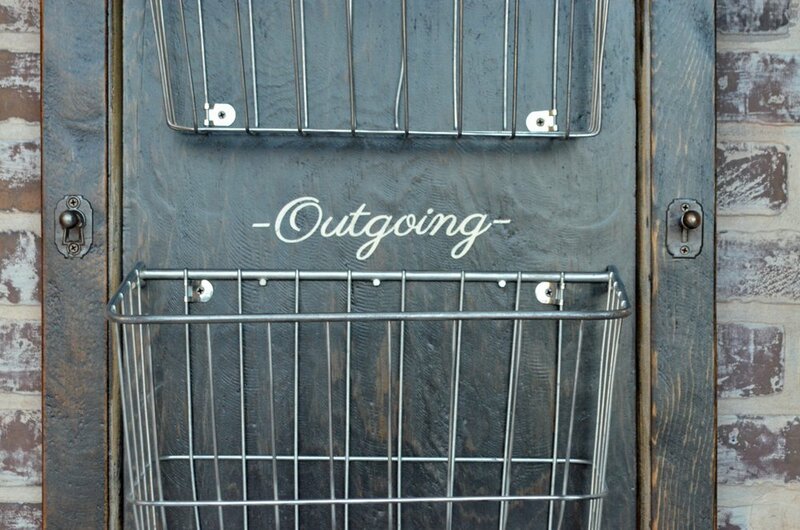 This wall mounted mail holder also includes key hooks, and has hooks for coats and bags. 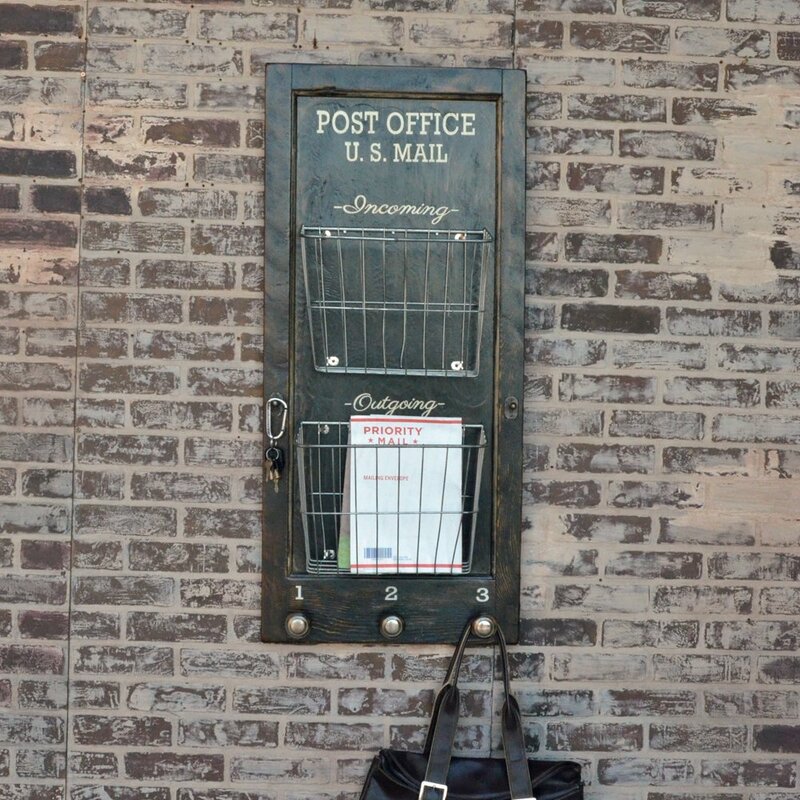 Three knobs hold coats and bags at the bottom. 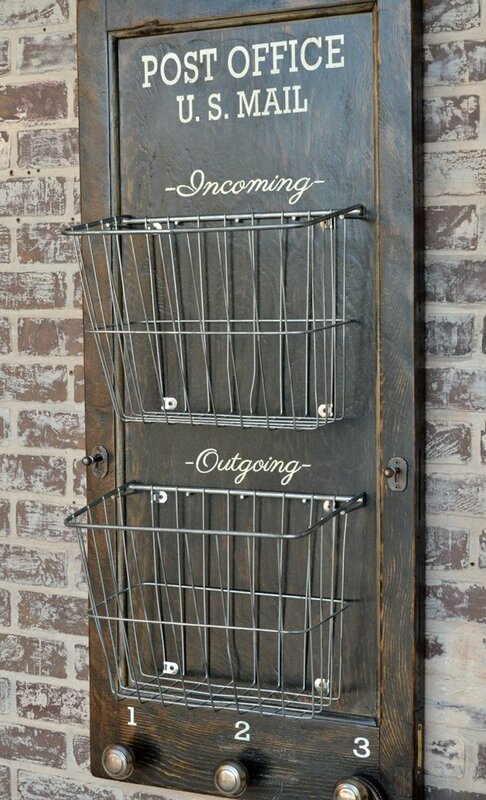 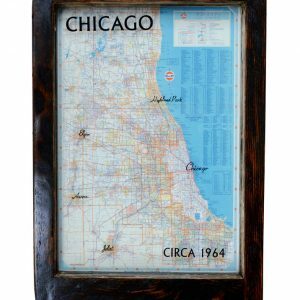 This stylish piece will organize your coats, keys, and mail!